So you’re really just like a single mother…. How many times have I heard this. Too numerous to count. And each time I hear it my stomach tightens and I want to shout no I’m not!!! But I don’t. I don’t really say anything. I’m standing here at the kitchen bench eating my breakfast and watching my man walk in and out of the room. He’s trying to fix something with the pram. He’s been home for two weeks now. Home with his girls. 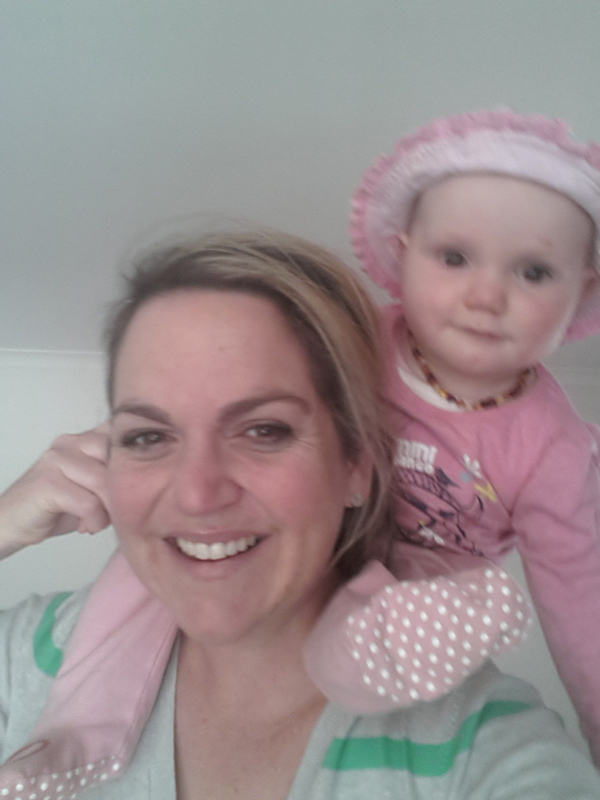 Grace, our 8 month old daughter and me, his 37 year old stay at home fiance’. I honestly never thought I’d be this lucky. He’s the man of my dreams and more. Loving, caring, kind, generous, supportive, devoted. We have a beautiful home together. We are in love and so happy. We have our gorgeous healthy happy baby daughter and he’s a wonderful daddy. There’s just one thing. He happens to work away alot. Yes he’s ‘in the mines’. Or a fifo as they are also known. A term I’d only vaguely heard before. Now it’s my life. I remember standing at the front door holding our 8 week old baby daughter saying goodbye to him as he went back to work. I was absolutely petrified. How in the world was I going to do this? I can’t do this. Fast forward to now, almost 8 months later and here I am, still alive. Grace is still alive too. We made it. Actually right now she’s having her morning sleep (bliss) The mans gone to Bunnings to get something and he’s due to leave again for work tomorrow for two weeks. And I’m feeling alright. I’m actually smiling because we did it. We ARE doing it and we are ok.
Oh it must be so hard. I could never do what you do. He must find it so hard to leave…. Again, well meaning friends comments that I hear time and time again. Yes it is hard. Yes you could do it. Of course he finds it hard to leave. I listen and think about what they say. I let them say the things that come to their minds to a friend like me in our situation. 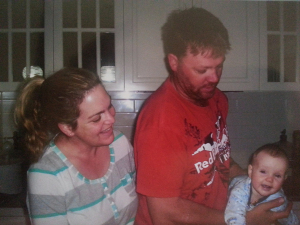 They don’t know what it’s really like as a fifo family and that’s okay. They don’t see me running to the phone whenever he rings. How I show Grace photos of daddy when he’s away and say how much we love him and miss him and how he’ll be home soon kissing his photo. The pics I send to him of Grace doing something funny or cute or new. They don’t see us at the door waiting for daddy as he pulls up in the drive buy bactrim in uk laughing and clapping and rushing to hug him and welcome him home. The absolute precious valuable time we have and make the most of while he’s home. The cuddles. The lazing in bed watching our little girl crawl around all over us as we plan another day of precious family time. Fifo’s a choice and it works for us. Before I wrote this I asked Macca about what he thought about his work. About what people say to him the most about this lifestyle. About what he thinks about when he’s away. He thought about it for a minute and said “I do it to make money. And I just happen to enjoy what I do. I miss my girls heaps when I’m gone”. That’s it. There has to be more to say doesn’t there? I know I could give you an answer that goes on for hours. I could give you the ins and outs of our life and everything that I feel and what we’ve gone through and what Grace was like as a newborn and how absolutely hard it was and still is at times. How much I miss him and wish he came home every night to us. But you know what. I’m not. But what I will say is this. I am nothing like a single mother. And I’m not bashing single mothers at all here, I think the amazing single mothers out there need a medal for what they do. Incredible stuff. But I am not a single mother. I have a partner that adores me. Who Worships our daughter. I have this beautiful home he provides for filled with everything we need and more. Everywhere I look I see my partner. I see him all the time. I see the clock he put up in the kitchen. The high chair he feeds Grace her meals with. The vegie garden he planted growing great guns with an over abundance of broad beans we both can’t stand. He’s everywhere. He rings every night and day when he’s awa. He’s thinking of us and missing us. He is always there no matter what. Ready to give me an understanding ear if I need. Support and encouragement. Acknowledgement. Love. And of course, the countdown to when he gets home. The questions and comments will never stop I suppose. But either will my love for my fifo man and our life. He’s just pulled up home from Bunnings. I am smiling. He’s finishing fixing the pram. This is the man he is. This is fifo.